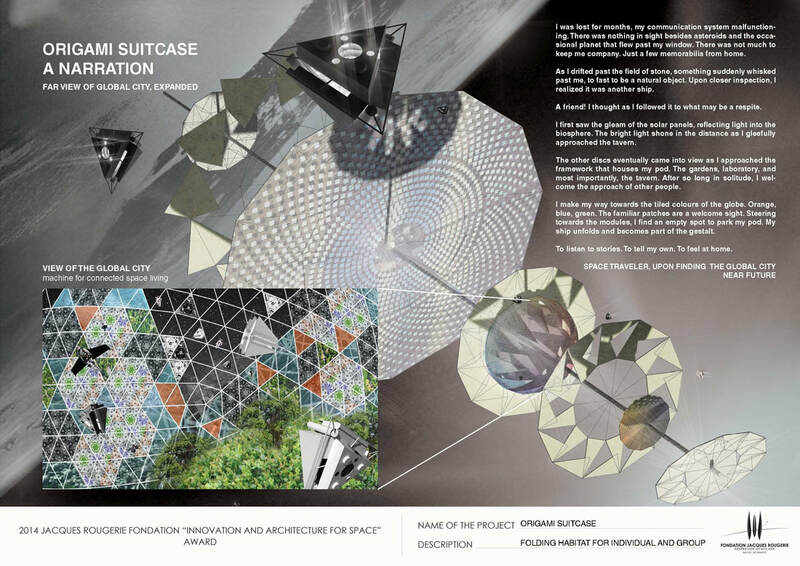 Origami Suitcase is a submission for the 2014 Jacques Rougerie Competition for Innovation and Architecture in Space. 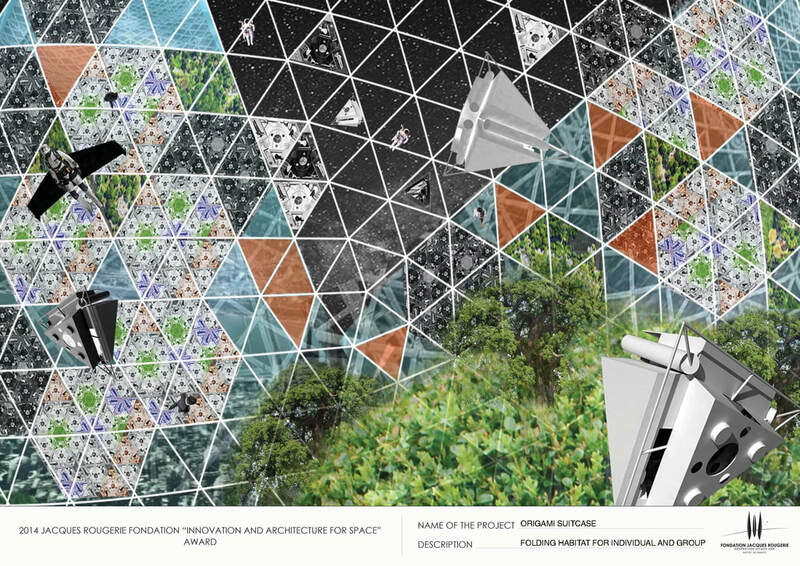 Without gravity and orientation, habitats in space can leverage three dimensions and better address the housing of free floating humans. 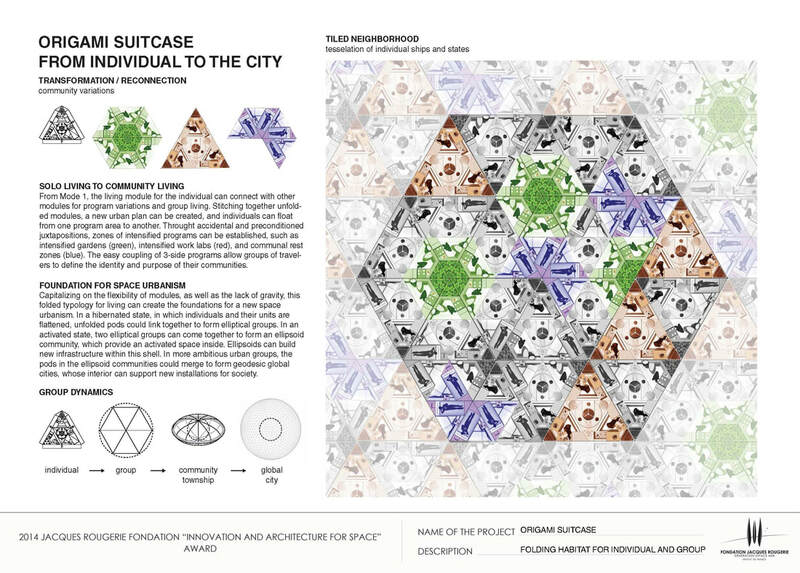 Origami Suitcase proposes a flexible system that can scale individual space habitats to an urban grid. 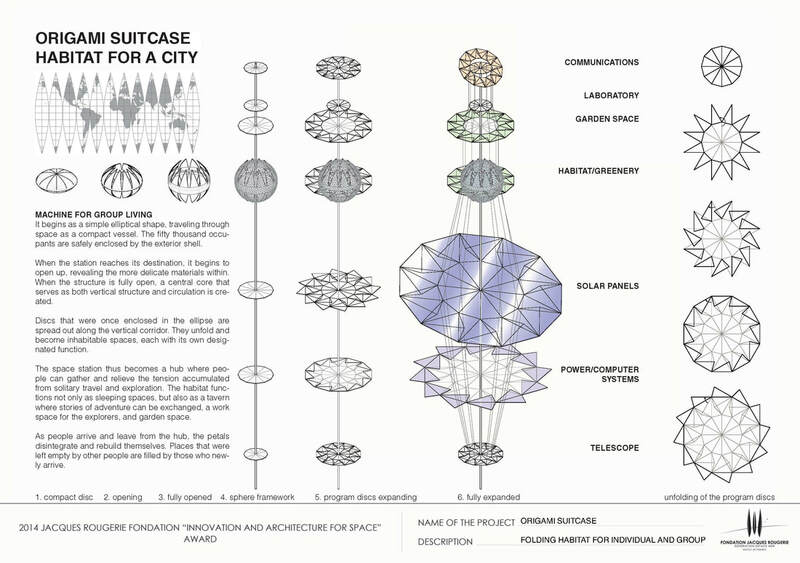 Solo traveler ships unfold to become a building block for an urban grid in space. 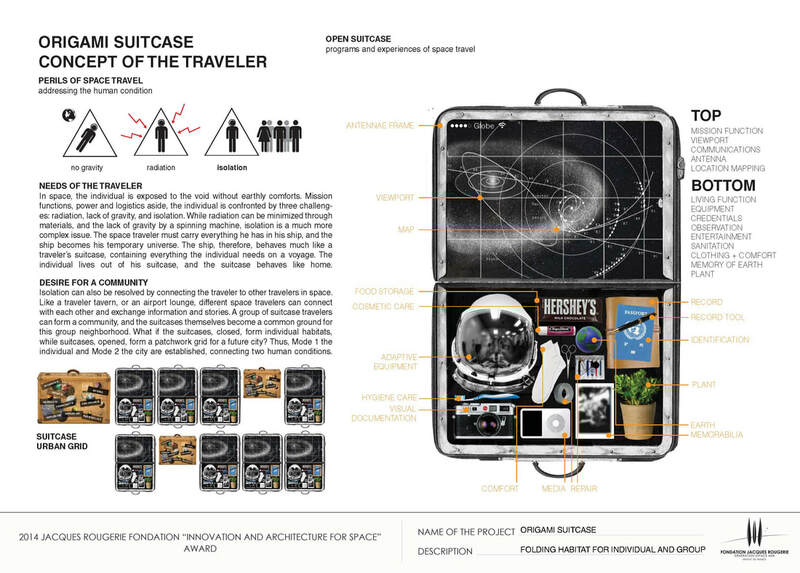 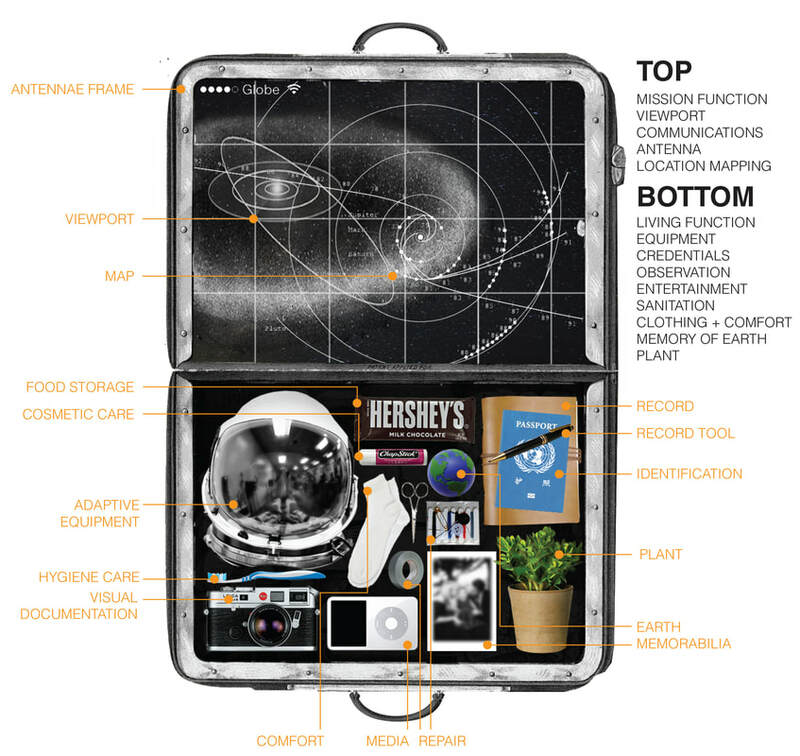 Considering the needs of the space traveler, who lives in his or her spaceship - or “space suitcase” - Origami Suitcase connects the solo traveler to other solo explorers via the operation of folding and unfolding. 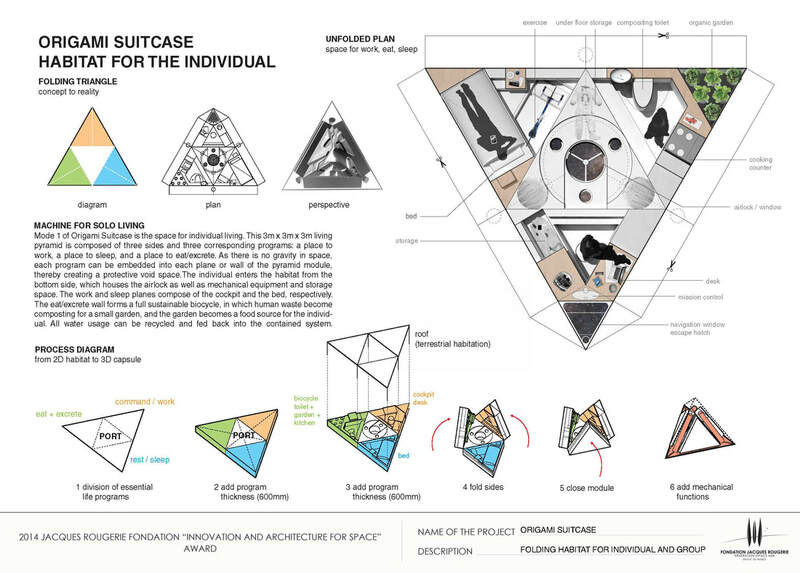 Collapsible spaces and folding geometries perform spatial acrobats that connect the space-faring individual to the space-faring community.